Showing 2 articles from July 8, 2016. FRANKLINTON -- Authorities arrested a Warrenton man they allege led them on a two-county high-speed chase that ended shortly after police shot out one of his tires on Friday morning. 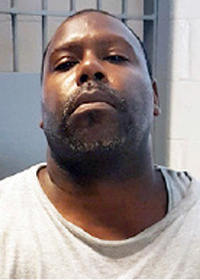 "The main reason I decided to discharge my firearm," said Franklinton Police Chief John Green Jr., "was that [the suspect] was coming at me. "Number two, I fired it in a safe direction," he said. "There were no bystanders. BUNN - Juanita Adler, 80, died Wednesday, July 6, 2016. Funeral service will be held at 1 p.m. Monday, July 11, at Gethsemane Missionary Baptist Church, 893 Bunn Elementary School Road, Bunn. A visitation will be held from 12-1 p.m. at the church prior to the service.